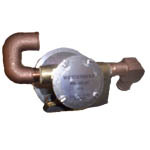 These raw water pumps are exact replacements to those offered by Westerbeke. 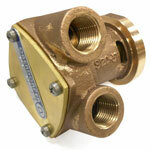 They work with the existing brackets, hoses, & fittings, etc. To place an order please use our secure online ordering. 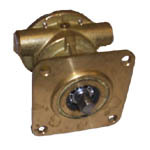 Direct replacement for Westerbeke 48080 generator sea water pump. 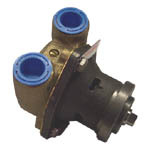 Oberdorfer's full cam flexible impeller raw water pump fits Universal M12, M2-12, M18, M25, M25XP, M40 & M50 diesel marine engines. 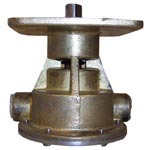 Your Price: Use SHE G65. Mods reqd. 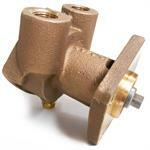 Sherwood replacement bronze sea water pump for Westerbeke 24102 on 8.5, 12.5, & 15.0 BTG marine generators.